The Tancook Island ferry runs daily year-round on a predetermined schedule. The William G. Ernst vessel transports passengers from the mainland to the islands. The ferry departs from Chester and services both Little and Big Tancook Islands. Visitors should arrive at least fifteen minutes before the scheduled departure time. If you have any questions regarding your sailing be sure to ask one of our friendly ferry crew for assistance. The ferry usually sails first to Little Tancook and then on to Big Tancook. 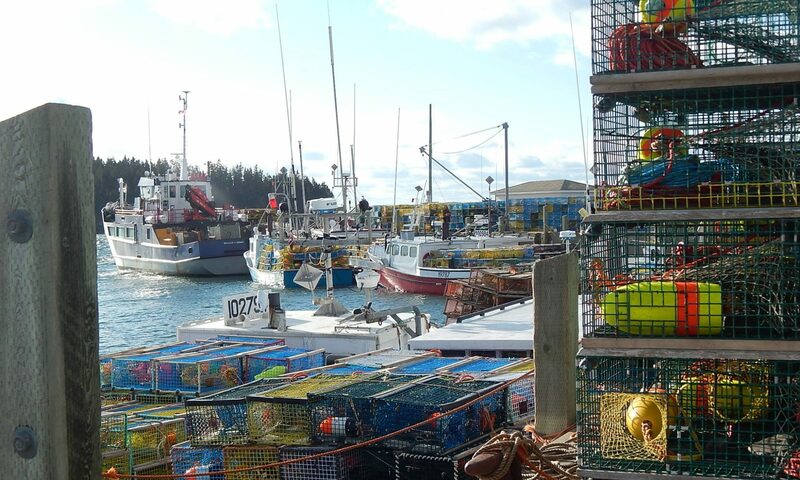 You will know you’ve arrived on Big Tancook because of our cement wharf (Little Tancook’s wharf is wooden). The duration of your sailing will be approximately 50 minutes. There will be lots to see during your trip, including many of Mahone Bay’s 365 islands. You’ll notice that some are even privately inhabited. Past visitors have been lucky to see sea birds, seals, porpoises and even the occasional whale on their journey. Passengers are invited to make themselves comfortable on either the top deck of the ferry, or in the passengers’ cabin. A ferry crew member will collect payment once the sailing is underway. The cost of an individual round trip is $7 per person (kids under 12 travel for free). Depending on the size of your group you may also want to consider purchasing a ticket book which contains 5 tickets at a cost of $17.50 or 10 tickets at a cost of $35 these ticket books do not expire. The ferry collects cash only. The William G Ernst is primarily a passenger ferry, which means you will need to park your vehicle in Chester for the duration of your visit. There is limited parking available directly across from the wharf, and passengers can alternatively park on the harbour side of the Water Street just past The Rope Loft Restaurant, and in the parking lot for island residents located on Valley Road. Visitors should be careful not to park in front of private wharf entrances. Parking is not permitted directly on the government wharf. Visitors are welcome to keep carry-on size baggage with them in the passenger cabin. Any additional belongings should be placed in the large silver freight boxes. These boxes will be sitting on the wharf prior to departure, and are hoisted onto the ferry by crane for the sailing, and then off on the island side. Visitors should check with a ferry crew member before loading belongings, to ensure the box you are using is destined for Big and not Little Tancook. Passengers are welcome to bring larger items like bikes and strollers aboard the ferry. These items should be carried on by way of the gangplank, and stowed in the freight area. Please ask a ferry crew member for direction on where to stow these items. Tancook is dog friendly, and so is our ferry. We do ask that you keep pets outside of the passenger cabin unless they are in a carrier.